Hardwell’s follow up to last year’s ‘Revealed Vol 3’, should be a real treat for true Hardwell fans, with 20 cuts from some of the scene’s hottest producers. 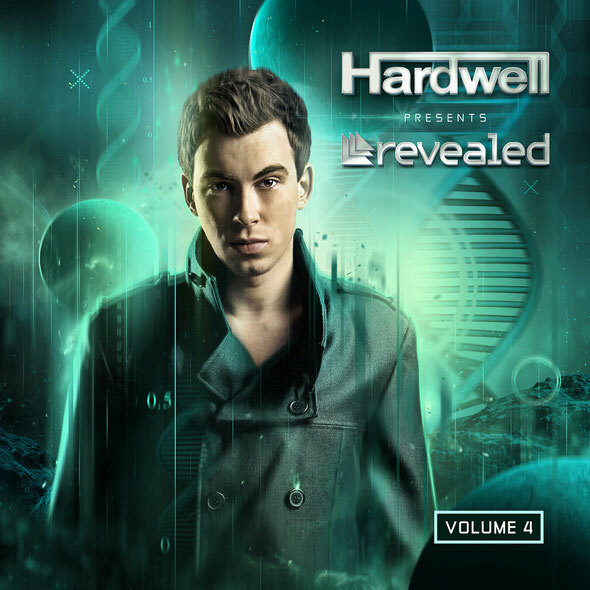 Capturing the intensity of his live shows, ‘Revealed Vol 4’'s long flowing mixes build tension and this interspersed with vocal tracks, huge hooks and Hardwell's trademark drops provide the listener with a snapshot of not only Hardwell's record box, but the sense of experiencing one of his epic live shows. Volume 4 in Hardwell’s mix compilation series is brimming with exclusives, featuring eight unreleased tracks from Hardwell’s label being aired for the first time - Dyro, Dannic, Mightyfools, Alvaro and Kill The Buzz all feature as Hardwell effortlessly blends from the next generation of Revealed Recordings talent into the biggest tunes of the summer. Fan favourites and recent Beatport #1 chart topping hits Krewella – ‘Alive (Hardwell Remix)’ and the explosive Hardwell and Dyro’s collaboration ‘Never Say Goodbye’ featuring Bright Lights on vocals are trademark anthems. On top of that four exclusive Hardwell mashups are included. During EDC Week on June 20 Hardwell will be hosting a party for the official launch of ‘Hardwell Presents Revealed Volume 4’ at his Las Vegas residency Hakkasan. Revealed Recordings artist’s Dyro and Dannic, will be joining him as part of their Revealed North American tour. Special appearance will be made by Heather Bright aka Bright Lights who will perform ‘Never Say Goodbye’ live. The album will be released on June 21, with the tracklist to be revealed soon.